Here at OUR Center, we act as a support network in Longmont for those who might need a little extra assistance. From working with families who need help paying rent to providing mental health resources, our goal is to keep those in our community safe and healthy, no matter what financial hardships they are facing. With the summer over, fall in full swing, and winter rapidly approaching, we are entering a time of year that can be challenging for those who suffer from mental health-related issues, particularly depression. During the colder months, the sun is out less and the darkness can take a toll on our mental state of being. 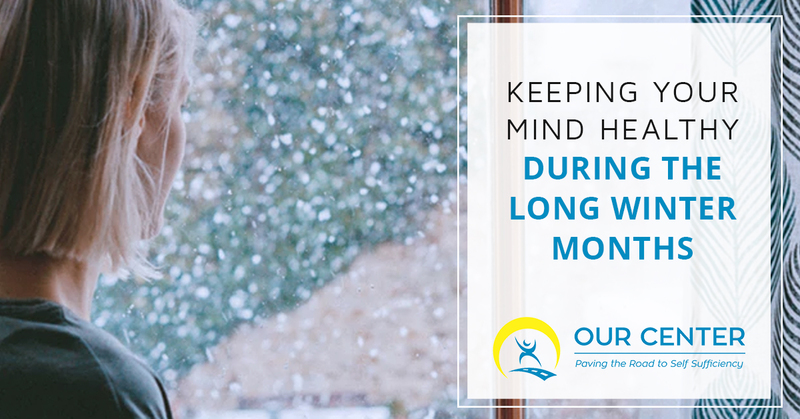 If you struggle with the winter months and find your motivation is lacking, we invite you to check out these tips for helping guard your mental health over the cold days ahead. If you need any extra assistance or you know someone who would benefit from mental health resources this winter, please visit OUR Center to learn more about the programs available. As the holiday season approaches and winter sets in, it can be easy to neglect your own health and mental wellness. Whether the holidays are a busy time of year for you or a lonely affair, the holiday season can be extremely stressful on our mental health. Make sure that you schedule time each week just for yourself during the winter months. Spend time doing something that you enjoy, such as soaking in a long bath or reading your favorite novel. Taking time out of your busy life to care for your own well-being will go a long way in improving your mental health. 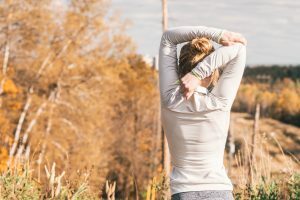 It is easy to feel like you are constantly in a rush or always taking care of your family, but you will be able to better help those around you if you allow yourself a break each week to unwind and decompress. During your weekly time alone, take a pulse on your mental well being. Was the past week a struggle? Do you feel like winter is taking a toll on how you feel? By paying attention to how you feel each week, you can better tackle any issues as they arise. This prevents you from waking up one day in February and realizing you lost your hope and happiness months ago. If you notice you are starting to see a slump in your mood, look for ways you can invest in taking better care of yourself. If you need to drop some responsibilities and slow things down, do so. If you need to invite a friend over once a week to help you find positive things to focus on rather than feeling completely alone, make that phone call. Part of the reason many of us suffer from feeling blue during the winter months is because of the lack of sunshine and the limited portion of the day we get to spend breathing in fresh air. In some cases, feeling blue during the winter might be a sign of a bigger issue. The winter can bring on Seasonal Affect Disorder (SAD) in many people. SAD usually sets in during the fall months and increases during the winter. If you are suffering from SAD you will find yourself dealing with depression, a lack of energy, and an overall tiredness during the winter months. One way to combat SAD and other winter-related depression is to try to implement time outside in the sun as much as possible. While the days are much shorter, try to fit in afternoon walks and other activities that expose you to the sunshine when possible. If you get a ten-minute break at work, spend some time soaking up the sun’s rays. If you feel like you struggle with SAD or other forms of depression during the winter, don’t hesitate to reach out for help at OUR Center. We can connect you with valuable mental health resources so you can take control of your life during these darker months. Our minds are directly affected by how we treat our bodies. The food you eat will play a role in how healthy you are both physically and mentally over the winter months. Sometimes, the darker days can drive us to eat more junk food and to load up on sweets. Unfortunately, while depression and SAD can make us crave more carb-heavy foods, this will actually work against you in the long run. Make sure you stick to healthy eating during the winter months. Focus on fresh veggies and fruits to ensure you keep fueling your mind with necessary vitamins and minerals. Create meal plans to help you stick with healthy eating throughout the week. By giving your body a supply of good nutrients, you can help improve your ability to stay clear-headed and positive during the coldest days of winter. A great way to implement healthy foods during winter is to whip up a big pot of vegetable-laden soup. This affordable meal option can warm you up and implement lots of healthy food groups in one easy-to-make dish. The more consistent we are with our routines the better our overall health. Make sure that even though the days are shorter and the weather colder, you still keep yourself on a healthy routine. Look at how much sleep you are getting and adjust it to make sure you are well-rested each day. Even on days that you are struggling with keeping up with your day-to-day activities, work on sticking to at least part of your routine. By going through the motions and maintaining order in your life, you can help your mental state of being. Our brains find comfort in consistency and order, leading to less stress in your day-to-day living. Finally, don’t be afraid over the winter months to reach out for help. It is natural to experience bouts of darker days as the winter approaches. If the holidays are a particularly hard time for you, winter can become a serious struggle. The best thing you can do for yourself when you feel winter taking its toll on your mental well-being is to reach out for help. Feel free to come talk to us at OUR Center. We can pair you with outstanding mental health resources in Longmont and we will offer you a non-judgmental place to find healing. Don’t face the winter months alone, come see our team today.